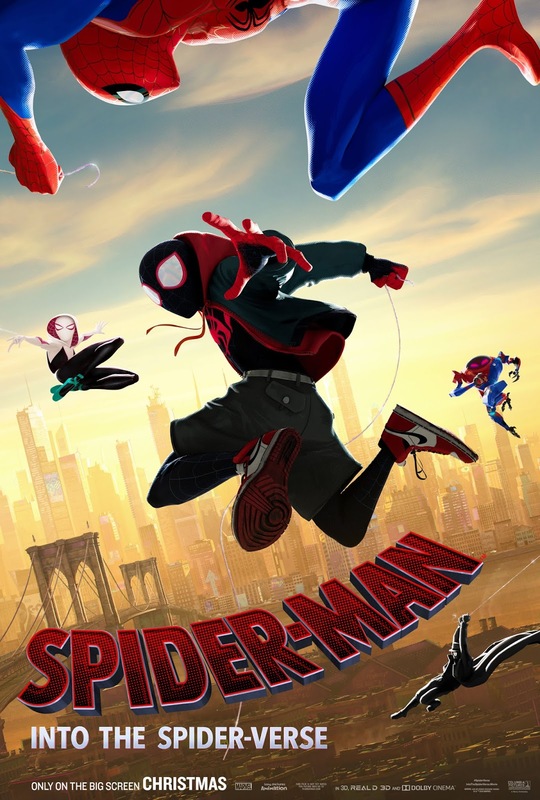 Directed by Peter Ramsey (Rise of the Guardians), Rodney Rothman (21 Jump Street) and animator Bob Persichetti, with a screenplay by the geniuses who found a way to make The Lego Movie amazing, Into the Spider-Verse is the first theatrical release to focus on Miles Morales, who is often known in the comic-book community as "the black kid who is also Spider-Man". And to be frank, I have never read a comic about him myself. I hear he can be a popular character, but I was never sure why... until now. Miles Morales, played by Shameik Moore, is a smart kid from Brooklyn who loves the city protector Spider-Man. Eventually, he is bitten by a radioactive spider and given the same strange powers, such as sticking to walls and Spider-Sense, but there are unique additions to his arsenal. Following the tragic, and surprisingly brutal, death of Spider-Man, Miles is missing a tutor and New York is missing a hero. All of a sudden, another Spider-Man appears from another dimension with a very different backstory, personality and attitude towards life. And if that's not weird enough, this isn't the only Spider-Man from another dimension entering the fray. 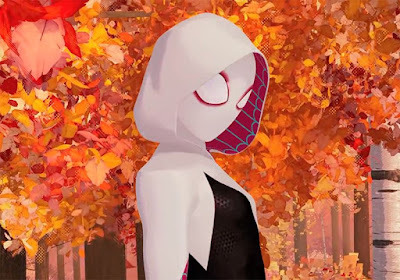 I genuinely want the next game to be about Spider-Gwen. She's in a band, guys! 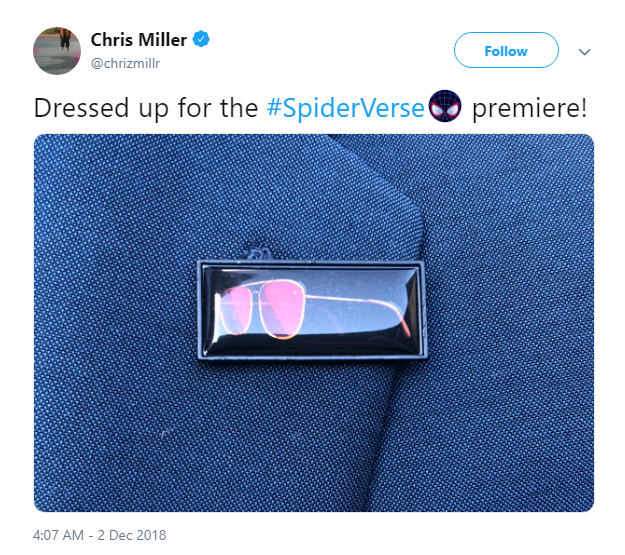 A premise like the one presented here could only be truly realised in a cartoon world, and that's exactly what Spider-Verse sets out to do through the eyes of Miles. Every character from every dimension is distinct and fun in their own right, and the voice casting is strong and dependable, from Miles' father Jefferson Davis, played by Brian Tyree Henry, his uncle Aaron played by Cottonmouth himself Mahershala Ali, to Liev Schriber's Kingpin, to... Nicholas Cage as Spider-Man Noir?! That's amazing! While I'm on the subject, let's talk about the Spider-Men. We've got Spider-Gwen, voiced by Hailee Steinfeld. We've got two Peter Parkers, the first one voiced by Chris Pine, and the second one voiced by Jake Johnson. 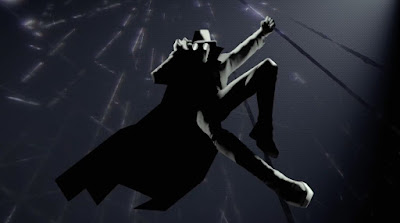 Kimiko Glen as Peni Parker, a young schoolgirl from the future who pilots a mech-suit called SP//dr, John Mulaney as Peter Porker, also known as Spider-Ham, and the aforementioned Nicholas Cage as my personal favourite alternate from the comics, Spider-Noir, who lives in a world of literal black and white. One of the most genius decisions in this film is to make sure every character looks as distinct as possible through the use of animation. Peni looks and acts like a character in an anime would, with beautiful eyes and diving through the air as if she's in a tunnel of colour and lines. Noir is actually black and white, and looks like he was ripped out of a cartoon of Sin City. Spider-Ham is by far the most cartoony of the lot, clearly inspired by the likes of Looney Tunes and Tom and Jerry. While each of them do swing around and such, they all look different and move in their own way, and their personalities are displayed through this. For example, Spider-Ham spins around like he's Bugs Bunny, sometimes floating in the air to delicious smells or making weapons appear out of thin air. Of course, all the designs are exceptional. Thanks to the excuse of alternate universes, we see characters that we're familiar with in completely different faces to what we're used to. The Kingpin is literally a huge black block, with just his face sticking out of it, and he takes over almost the entire screen every time he appears, as if he has command over the animators themselves. Another villain that makes an appearance is Scorpion, in what might be the most demonic-looking version of him I've ever seen, with a grotesque tail and metal limbs, and there are so many other characters that I won't dare spoil them, but you will remember them once you leave the cinema. I feel like Adam West played him once, back when he was called the Gray Ghost. To get viewers hooked, the film needed something new besides the premise, and so we're given a comic-book film that is literally looking and feeling like it came straight off the page. The animators have combined 2D and 3D animation to create this perfect blend of a moving comic, and extra touches like thought panels and words appearing as they are yelled from time-to-time keep the zany decision alive. Do you remember what Ang Lee was attempting to do in 2003's Hulk? This is it done the right way. The story itself is impressive for many reasons, not least of which is because this is another retelling of a Spider-Man origin story, and we've seen far too many of this being repeated in the past decade, but making it about Miles instead of Peter gives it an edge, such as the mentor, the gruff but caring father, the reckless uncle, coming into his own without copying anyone else... it all connects together and the writing keeps it strong, with plenty of heart balanced out perfectly with the comedy. When Miles puts on the Halloween-style costume, it's a good laugh, but when he finally adopts his own Spider-Man persona through spray-paint, I was surprisingly pumped up for it. I liked the growth Miles went through, and I liked how his complaints were never whiny, rather understandable for someone in his position. We are literally in an era where comics are so cool that films are trying to be them! The story itself is fairly predictable, but it is told through a self-awareness that keeps things fresh. Hell, we hear the "I got bit by a radioactive spider" line several times, to the point it's almost a parody of itself. And more importantly, it takes itself serious when the time is necessary for it to do so. When we see why the Kingpin is doing all this, it's not something we absolutely needed to see but it adds a depth to his character and the situation the heroes are in, making it far more than a straight "good vs evil" plot, but still making it clear who needs to be stopped and why. As I said earlier, the designs are unique and that makes for some excellent action sequences. An exclusive hitman for the Kingpin, resembling a sci-fi-vampire-Deadpool is a great choice for chasing frightened teens through the busy streets, and the different Spider-Men using their unique weapons and experiences makes for some brilliant variety. Spider-Ham in particular has a victory that had me nearly howling. Peni Parker vs Venom-senpai! Or Green Goblin-senpai! 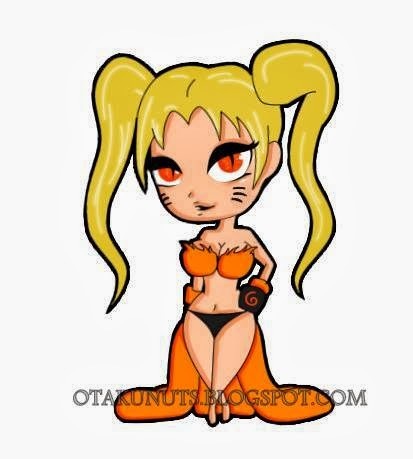 Desu desu! Doc Ock-senpai! Honestly, my only real complaint about the film is that I wish we could have seen more. We're only shown through pages and glimpses of how the other worlds look, and that truly is a shame. I'd have loved to have seen the kind of world where Spider-Ham could live. Or Noir's edgy dark world during the Great Depression. Or the small but interesting ways that Spider-Gwen's world might differ from Miles'. And if I couldn't have had that, I could have watched Ham try to teach Noir about colours for hours. They're all just that fun. It might not be the most complex film of the year, or even the best animated one, but Spider-Man: Into the Spider-Verse is an absolutely delight for a fan of Spider-Man like myself. Fanservice in abundance, character in spades, and a story with perfect comedic timing blending well next to the heartfelt scenes that never go too overboard. Movie companies these days are clearly desperate to find their own MCU, as shown by that Dark Universe nonsense, but I think Sony have finally found the perfect path to take with theirs. If they decided to focus on making a family-friendly Spider-Man multiverse with wonderful animation, different variants of beloved characters (A certain classic villain appears in at least two of these dimensions), and put it back in the hands of these talented writers and animators, then I would be there for every single film, and I'm not ashamed to admit that. On a last note, the tragic passing of Stan Lee is felt here. As expected of a Marvel movie, there is a Stan Lee cameo but unlike the majority of them, there is a deeper meaning behind it, rather than a throwaway joke. I won't dare spoil what it is, but it's funny, clever and touching. In a way, it represents the best side of Stan Lee, this movie, and Marvel in general. It's perfect. Best Performance: Shameik Moore as Miles Morales. Best Part: The Spider-Men together! Worst Part: Very little shown of the other dimensions.